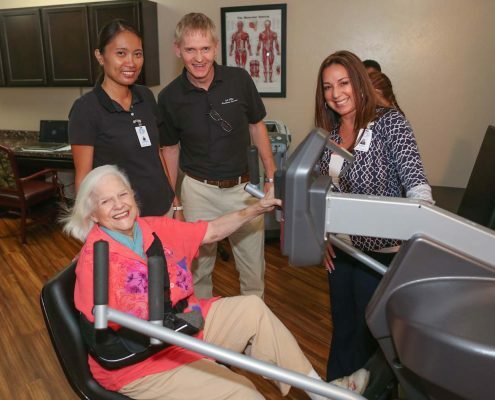 Our affiliated entities offer a broad spectrum of post-acute care including assisted living, skilled nursing, rehabilitative care, home health, home care and hospice. 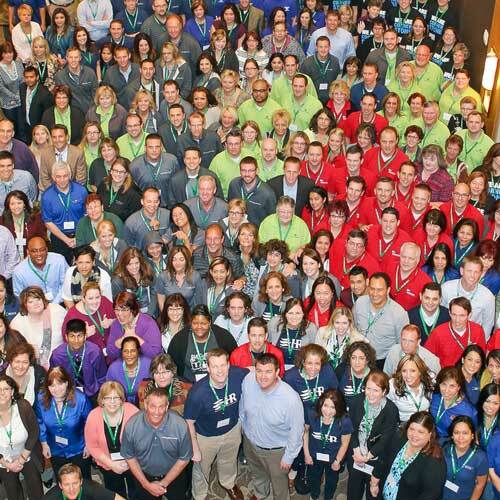 We believe we exist to dignify and transform post-acute care. Our core values of celebration, accountability, passion for learning, love one another, intelligent risk taking, customer second, and ownership guide us in our decision making and inspire us to be better people, in and out of work. In recent years, we have significantly expanded our operations. Our affiliated entities are located across more than a dozen states, and we are continuing to grow. With that growth, we are innovating and designing best-practice solutions to lower the cost and improve the quality of our care. We partner with many other healthcare organizations across our service area with the goal of ensuring our patients are receiving the best possible care. *References herein to the consolidated “company” and “its” assets and activities, as well as the use of the terms “we,” “us,” “its”, “our” and similar verbiage, are not meant to imply that The Ensign Group, Inc. has direct operating assets, employees or revenue, or that any of the affiliated entities, including facilities, home health and hospice businesses, or the Service Center are operated or managed by the same entity. In-house therapy teams employ a variety of State-of-the-Art and a (good old-fashioned) hands-on approach to design a custom therapy program that is tailored just for you! We never forget that you’re a valued guest, and the reason we’re here! Each day you spend with us will be filled with the caliber of service that will make your stay comfortable, safe and therapeutic. 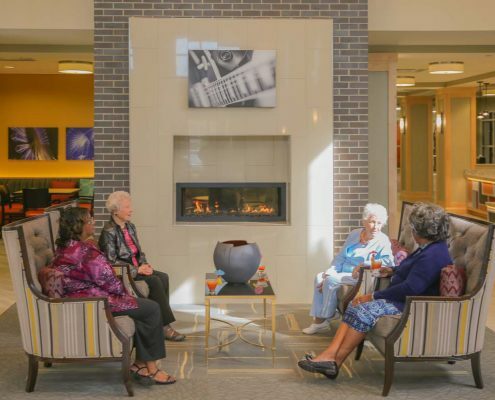 Whether you are looking to simplify your life in an Independent Living environment or need a little assistance with day-to-day tasks in our Assisted Living, Ensign affiliated communities offer a range of lifestyle options so you can live the way you want to live. 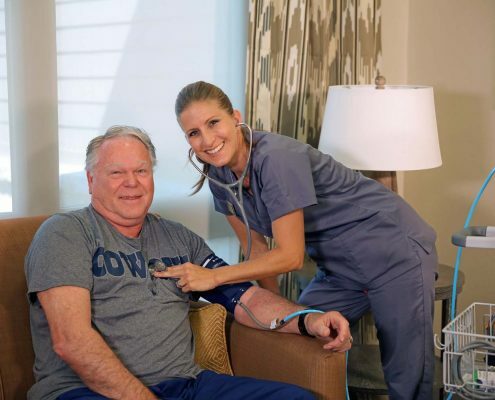 With a focus on comfort and quality of life, specialized care is provided and designed to support you and your loved ones during an advanced illness. A place where residents and their families feel loved, informed, and comfortable. Our affiliated entities create an empowered, professional work environment to better assist employees in meeting customers’ needs. Experience, a high level of individual attention, and outstanding service are critical elements in rejuvenating health and hopes for the future. With these three precepts firmly embedded in our culture, it is a pleasure to serve you. In-house therapy programs are designed to meet each guest’s unique needs. Our affiliates work together with each guest, their family, and their healthcare provider to create the best care and treatment plan for each guest. Extensive services, and caring staff make each community a place you will be delighted to call home. Experienced and specially trained professionals create carefully crafted treatment plans to achieve the best outcome, with every patient, no matter how complex or simple the medical issue at hand.